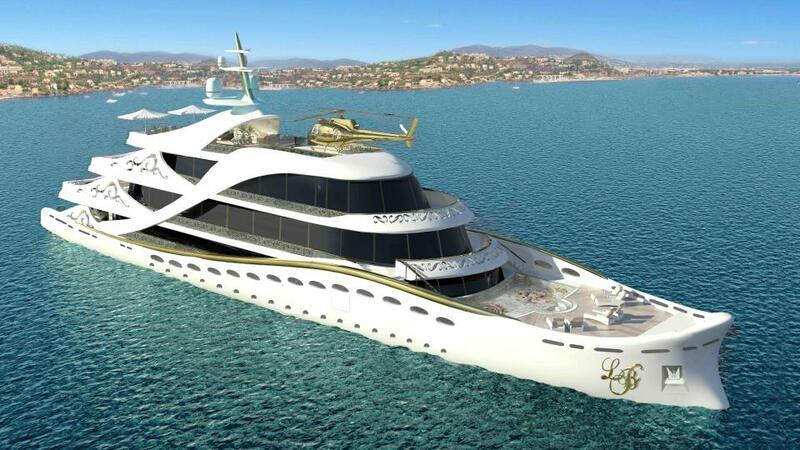 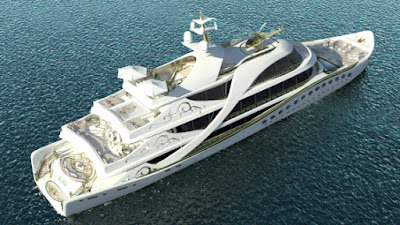 Feminine 80m long yacht was designed by Lidia Bersani, who argued that it was the first yacht designed for women. 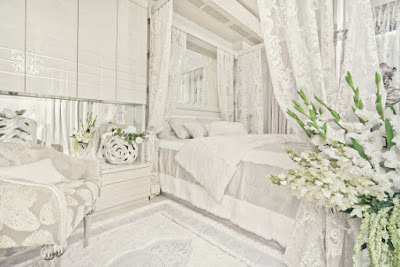 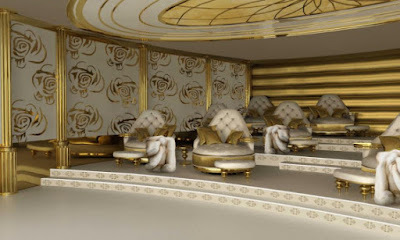 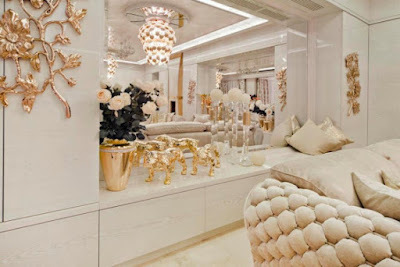 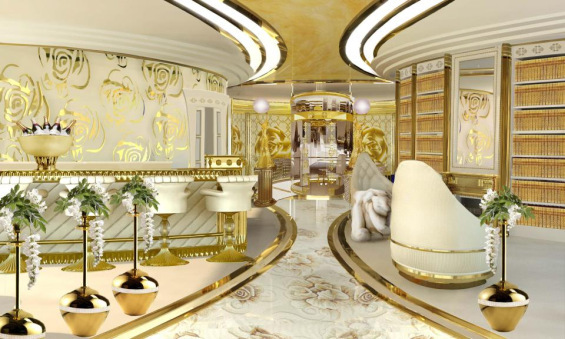 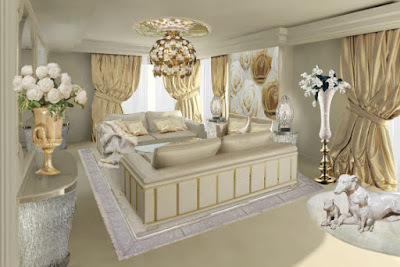 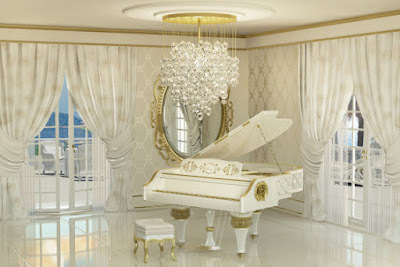 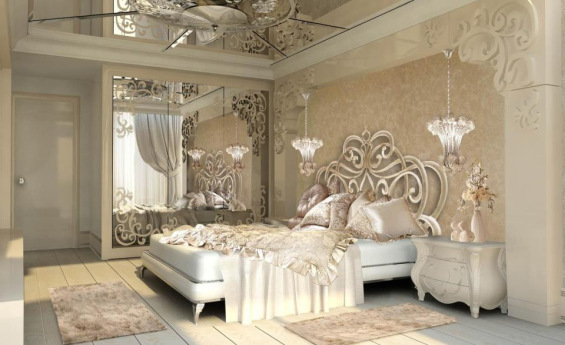 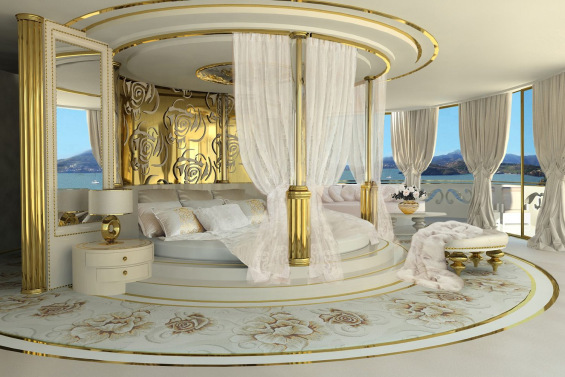 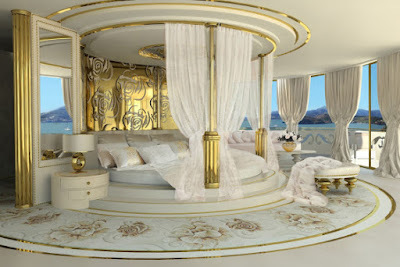 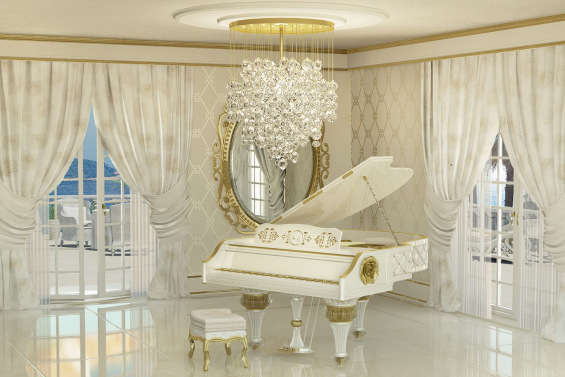 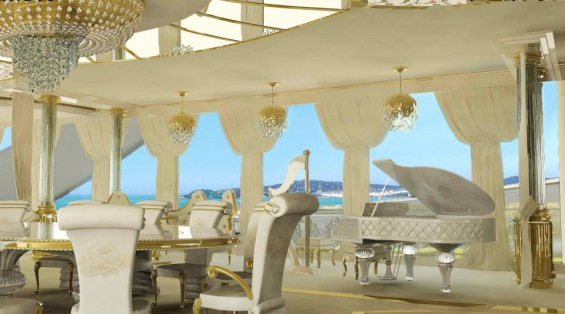 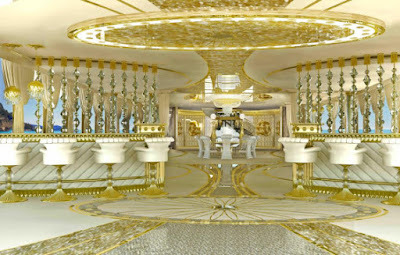 The interior is in white and gold, and ivory. 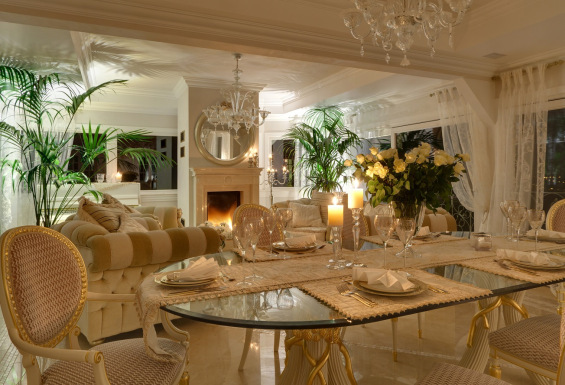 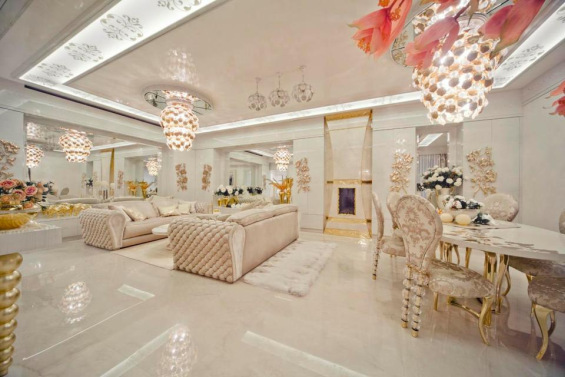 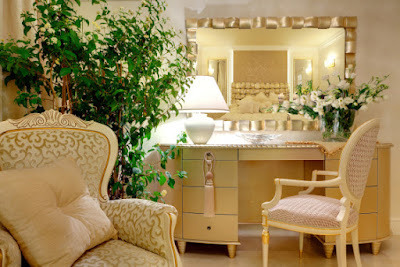 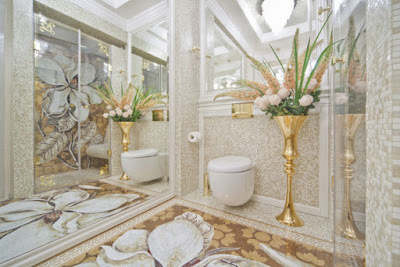 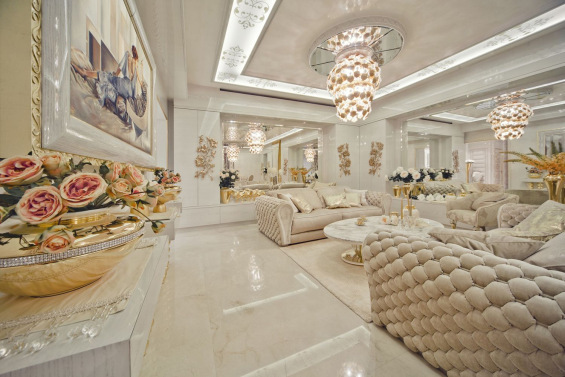 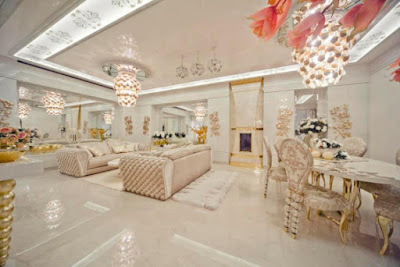 Golden mosaics, mother of pearl and Swarovski crystal chandeliers to give the interior a unique look.